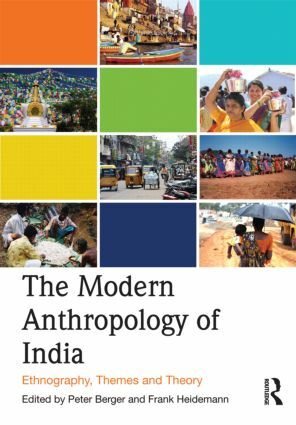 The Modern Anthropology of India is an accessible textbook providing a critical overview of the ethnographic work done in India since 1947. It assesses the history of research in each region and serves as a practical and comprehensive guide to the main themes dealt with by ethnographers. It highlights key analytical concepts and paradigms that came to be of relevance in particular regions in the recent history of research in India, and which possibly gained a pan-Indian or even trans-Indian significance. What themes were ethnographers interested in? What are the significant ethnographic contributions? How are peoples, communities and cultural areas represented? How has the ethnographic research in the area developed? Filling a significant gap in the literature, the book is an invaluable resource to students and researchers in the field of Indian anthropology/ethnography, regional anthropology and postcolonial studies. It is also of interest to students of South Asian studies in general as it provides an extensive and critical overview of regionally based ethnographic activity undertaken in India.